The LinkedIn connector allows you to download profile information from your own LinkedIn account. Any task within the LinkedIn library requires a valid LinkedIn connection. You can configure the connection by going to the Connection Manager and creating a new LinkedIn connection. 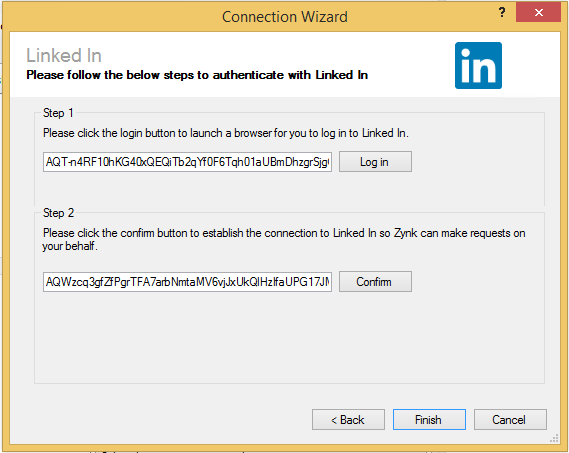 Hit the ‘Step 1’ button and enter your LinkedIn username and password (Zynk does not store this information) and then ‘Allow Access’.